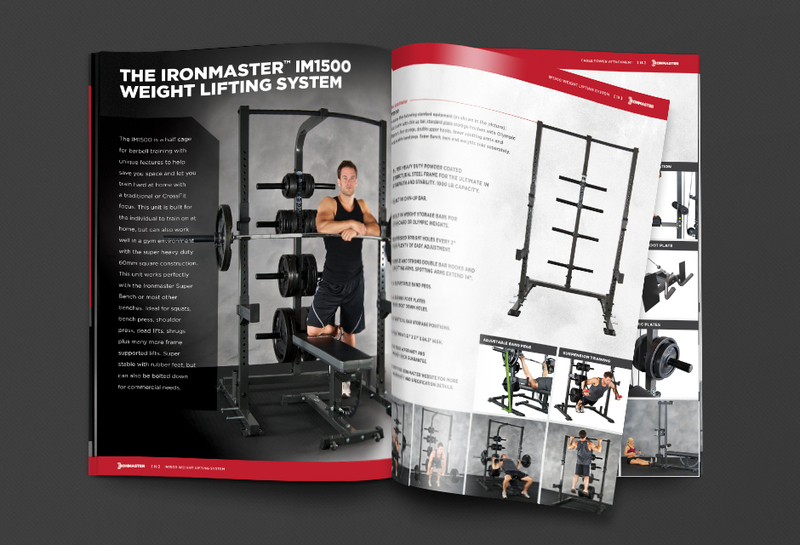 Ironmaster came to us in need of a catalog design update. 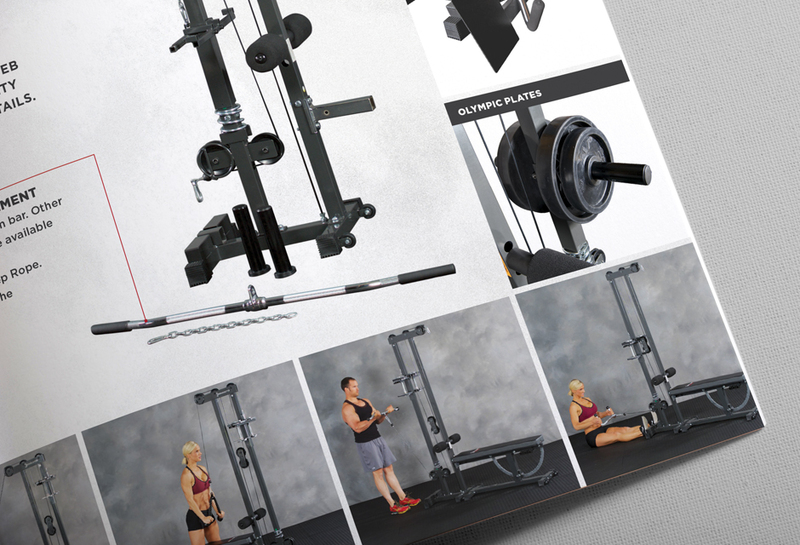 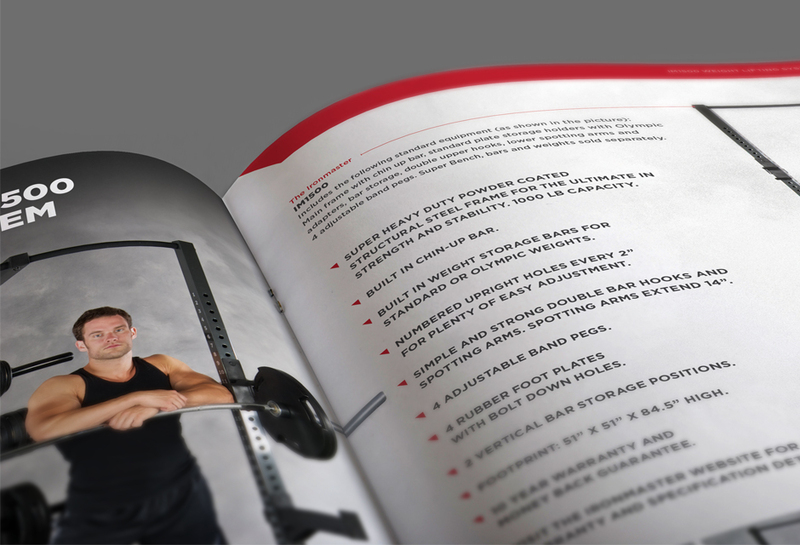 This 28-page catalog features company history, product information, specifications, instructions, exercise moves, and two tear-out posters with work out routines that a person could hang on the wall in their home gym. 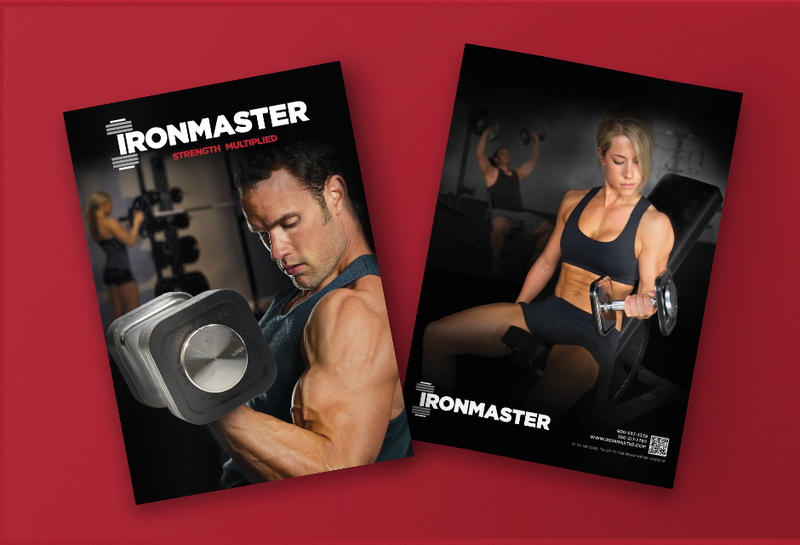 We went to their warehouse in Monroe, WA, for an on-site photoshoot with two models and multiple sets of equipment. 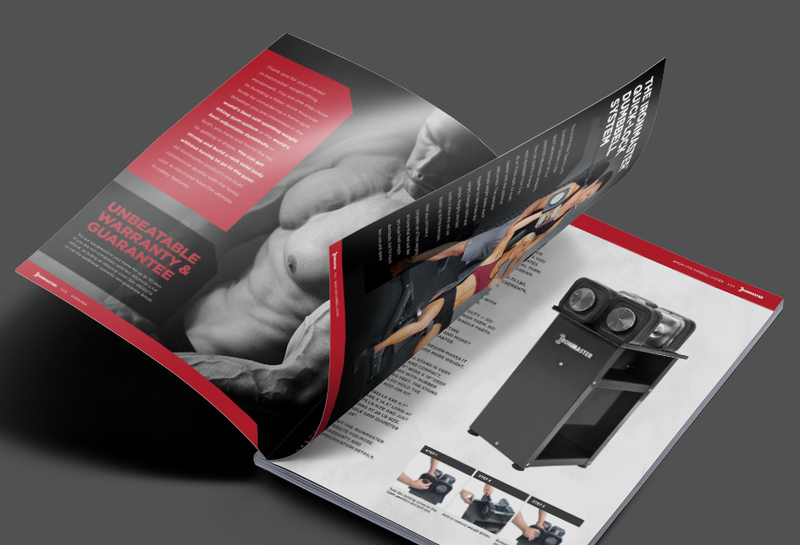 The photos were a great addition to the revamp of the brochure redesign.